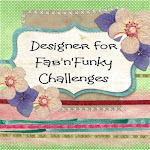 Today I'm back with my DT card for the new challenge at Cardz For Galz. I can't believe this is the 4th challenge already, what a great month it's been. This week we would like to see your 'Clean and Simple' girly creations. For my card,I have used an old retired Stampin' Up stamp, which I have then paper pieced as a change from colouring. I hope you like my little creation, and that it will inspire you to hop by the main blog and check out the other DT samples, or better still join in the fun. Thanks for stopping by, and I'll be back soon with some more creations. Adorable Sharon!! Love those sweet and colourful birds. Thanks so much for playing along at Happy Little Stampers. Beautiful card Sharon. Thank you for playing along with the Chocolate Baroque Color Challenge. Very sweet card, your paper pieced birds are so pretty! 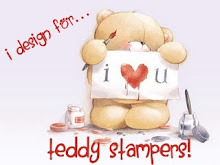 Thank you for sharing at Happy Little Stampers. What a beautiful CAS card! Lovely images and design! Thank you for joining us at TTCRD this week! Hi Sharon, thanks for your super cute CAS entry into the Chocolate Baroque challenge, Judith. Hermosa creacion...bellos y tiernos pajaritos...te invito para que te atrevas a realizar algo especialmente para nosotras en RETARTE de Stampartpapel! Feliz Semana... Paula, DT. Lovely card. Thank you for entering the Chocolate Baroque Challenge x.